Everyone knows the legendary tale of Alice in Wonderland and her adventures therein; falling down the rabbit hole, the white rabbit, meeting the Mad Hatter, the playing cards and the Queen of Hearts, Drink Me and Eat Me. It's a story that has captivated the imaginations of many and countless adaptations on the big screen. A Dallas area brewery has taken their love for the incredible story and transferred it into their love for beer. Enter Rabbit Hole Brewing out of Justin, TX (just north of Fort Worth). Tom Anderson, head brewer and official Hatter, doesn't want to brew beer just to get on tap walls around the area, he wants to brew damn good beer representing classic styles while still capturing the heart and soul of the legendary Alice story. 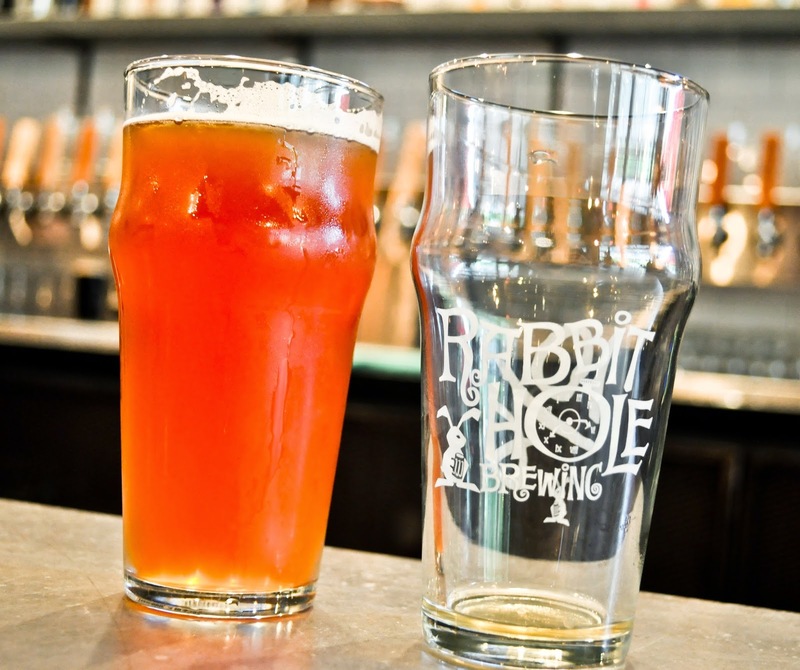 Rabbit Hole Brewing does this by celebrating three seasons, just like in the story. Most people associate seasons with the four seasons of Earth (Summer, Fall, Winter and Spring). Rabbit Hole Brewing does things a little differently. Below is a description of the seasons which Laron Cheek, co-founder, sent to me. Season of Virtue (current): This season starts on May 1st and ends August 31st. This season is controlled by Alice and is mostly easy drinking, sessionable beers. One of the delicious beers of this Season of Virtue includes the Wonderlust, a take on the classic saison. Floral and citrus notes dominate the nose with a hint of peppery bite, deep yellow color with a hint of haze and intensely dry on the palate make this one a must drink session beer of the hot Texas summer. Season of Fear: This season starts September 1st and ends December 31st. This season is controlled by The Red Queen and is strong, powerful beers - High in alcohol and IBUs. Season of Delirium: This season starts with the new year and ends April 30th. This season is controlled by Mad Hatter and you never really know what crazy thing the Hatter will throw at you next...but it won't be a cup of kindness. I don't know whether I'm more excited for the Season of Fear or Season of Delirium. I'm envisioning Imperial versions of classic styles, experimentals and perhaps a Barleywine? Who knows, we'll just have to wait and see what the Hatter has in store for us. 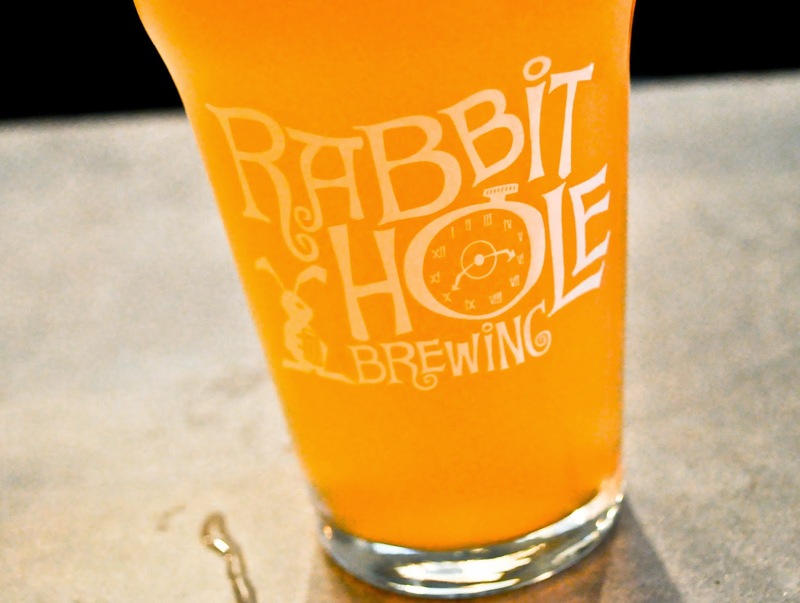 Another delicious beer from Rabbit Hole is their 10/6 English IPA. I had no idea what 10/6 meant, but Tom explained (again) to me that it's a reference to the card in the hat of the Mad Hatter. Basically, a price tag saying you can buy this hat for 10 shillings and 6 pence. I don't know if any Dallas bars will take shillings, but you can sure try (good luck figuring out how the old English currency system worked). 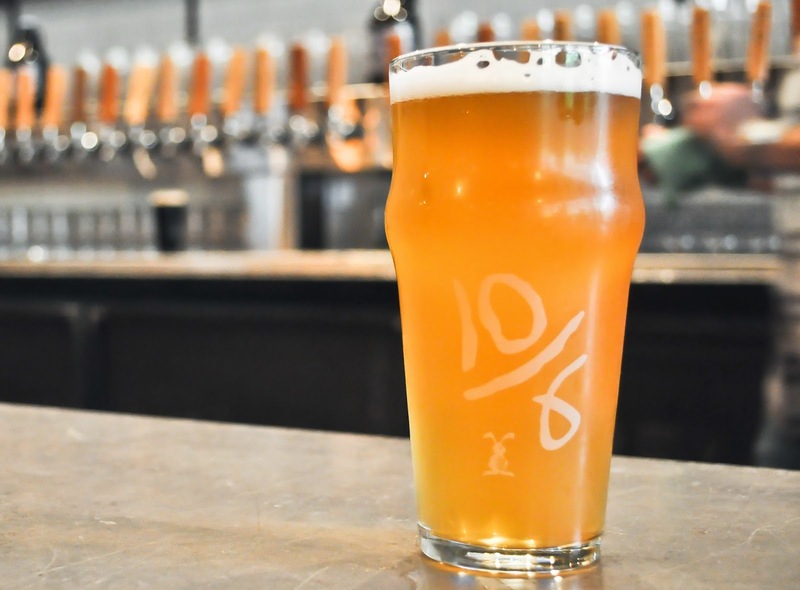 The 10/6 English IPA pours a beautiful deep amber. The nose is filled with English malts, hints of toffee, dark fruit and earthy herbs. It's not terribly bitter and has a great toasty malty background. Other delicious beers in their lineup include the Mike Modano's 561 Kolsch (yes, that Mike Modano) and the Rapture Brown. The creativity of this brewery is beyond measure. Not only that, they brew damn good beer. I highly recommend getting a pint the next time you see it on tap around the Dallas/Fort Worth area. Cheers! For more information on the Dallas beer scene, please follow me on Twitter and Facebook! Me and my group of friends drink Beer a lot! There's a basketball game coming up and we now know where to get our Beer from next haha.